Launching a Rs 100 crore initiative of the Mata Amritanandamayi Math to provide clean water to rural India at the math headquarters at nearby Vallikkavu, Kovind also lauded the centuries-old legacy of Kerala in accommodating different religions. 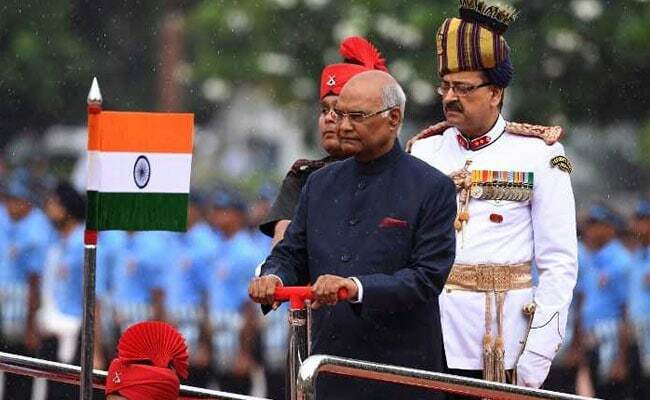 Kollam, Kerala: Hailing the contributions of soldiers and spiritual leaders, President Ram Nath Kovind today said they were the "twin pillars" on which the country rested its hope. "This is a state where one community has willingly given space to another," he said, addressing a function organised in connection with the 64th birthday celebrations of spiritual leader Mata Amritanandamayi Devi, known as "Amma" among her devotees. The president said his first visit outside New Delhi after assuming office was to meet the soldiers posted in the border town of Leh in the Ladakh region of Jammu and Kashmir, who, he said, were defending the country's borders in extremely difficult conditions. "The bravery of our soldiers on the one hand and the compassion, love and wisdom of our spiritual leaders on the other are the twin pillars on which we rest our hopes," he said. President Kovind praised Kerala as a state that "has done so much to defend our ethos and culture". Referring to spiritual leaders and social reformers from Kerala like Adi Shankaracharya, Sree Narayana Guru and Ayyankali, he said the southern state was "one of the leading spiritual homes in our country and composite society". "Kerala's spiritual consciousness is well beyond faith and religious distinctions, the Christian community in Kerala is one of the world's oldest," the president said. Pointing out that the first mosque to be built in India was in Kerala, President Kovind said he was told that it was constructed by the Arab merchants in the seventh century, during the lifetime of the Prophet himself. He said Kerala also had a rich tradition of Jews who settled in the state 2,000 years ago. "These historical instances reflect the mutual accommodation and understanding of different faiths and religious communities in Kerala's history," he added. Lauding the contributions of Mata Amrtianandamayi, Kovind said "Amma" represented the enlightened spiritual tradition of Kerala and described her spiritual mission as a contribution to nation building. The president launched the math's 'Jivamritam' filtration system, envisaged to provide clean drinking water to one crore villagers across the country. According to the math authorities, the initial phase of the 'Jivamritam' project, aimed at installing specially designed filtration systems for clean drinking water in 5,000 villages, was entirely being funded by it. Earlier, Kerala Governor Justice (Retd) P Sathasivam and Chief Minister Pinarayi Vijayan were among those who received the president on his arrival at the Air Force Technical Area of the airport at Thiruvananthapuram.